Just what is the connection between a 1963 Cadillac Coupe de Ville and a Ford Capri RS3100? Well! 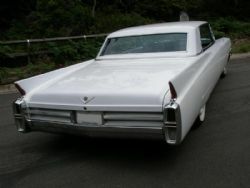 The Caddy is the epitome of American automotive luxury of the era, while from a decade later; the Capri was a British Ford version of a scalded cat on wheels. 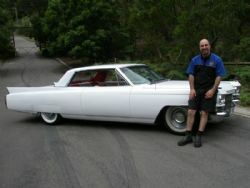 Certainly great classic cars and both are interesting garage mates for owner Mark Dilanian, the proprietor of Safety Service Centre in the Sydney suburb of Forestville. The Cadillac being Mark’s daily driver. Mark proudly states that his business looks after his customers by caring for their cars from a simple service right through to major repairs. That is of course enough to keep any modern day motor vehicle repair business busy throughout the day. However, deep at heart Mark has had a lifelong enthusiasm for classic cars and in addition to looking after moderns, he and his crew of 5 are also experts with older cars and that also includes a simple service right through to a complete restoration. Mark has built up his staff so that his business can now undertake all aspects of a restoration in-house, including auto-electrics, but with the exception of bodywork and body repainting. With a trusted body repairer located just next door it’s one area that Mark knows is well looked after. Over the last few months such diverse vehicles as a Mercedes Benz 300 SEL 6.3, Morris Cooper S and Ford Model A have passed out of the doors of the Safety Service Centre looking and running a million percent better than they were when they came in. Safety Service Centre was established during the 1950s as a general motor vehicle service business. Not being located on a main road, the company right from the beginning prided itself in providing that special care that kept customers coming back. The original owner has now moved on, but providing that special customer care is something that Mark is passionate about. Mark Dilanian started in the industry doing his apprenticeship in nearby Chatswood and then during the early ’90s found himself working for Safety Service Centre. That was followed by a lengthy sojourn overseas and on his return found that the business was for sale and it was an opportunity not to be missed. That was in 2000 and Mark has carefully nurtured the business ever since. Having owned the RS3100 since 1995 Mark has found his company in demand by fellow Capri owners in the Capri Car Club and as the word has now got around, Cadillac owners are also seeking him out. 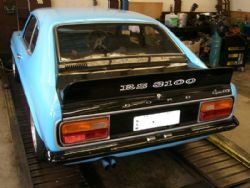 As an example of his business’ expertise Mark recently had his staff restore his RS3100. It was completely stripped and the body was sent away for repair. Mark had all of the mechanicals completely rebuilt with a little competition in mind. The engine for instance was bored and stroked, but remains tractable for both road and track. The Capri is certainly a talking point amongst Capri Club members. With the staff of 6 working within an overall workshop area of 300 square feet there is turnover of around 10 to 12 customer cars a day, not including classic cars receiving long term fettling. When Classic Car Gurus were talking with Mark Dilanian, one of the Safety Service Centre staff was just coming to the end of a rebuild of a V4 engine from a Ford Classic. It was an interesting discussion, as Mark was at pains to stress that although there were huge differences between a Cadillac and Cooper S his staff were more than capable of handling the intricacies of both or any other car. Even the complexity of the Cadillac’s Autronic Eye was mastered as were the Lucas electrics in the Mini. 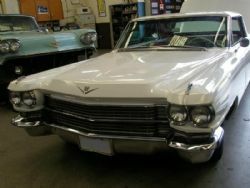 Be it a modern or a well loved classic Mark Dilanian is passionate that his customers and their cars receive the very best of care from Safety Service Centre. Give him a call or drop by and discuss your needs.